I hate cooking chicken breasts but love cooking chicken thighs. 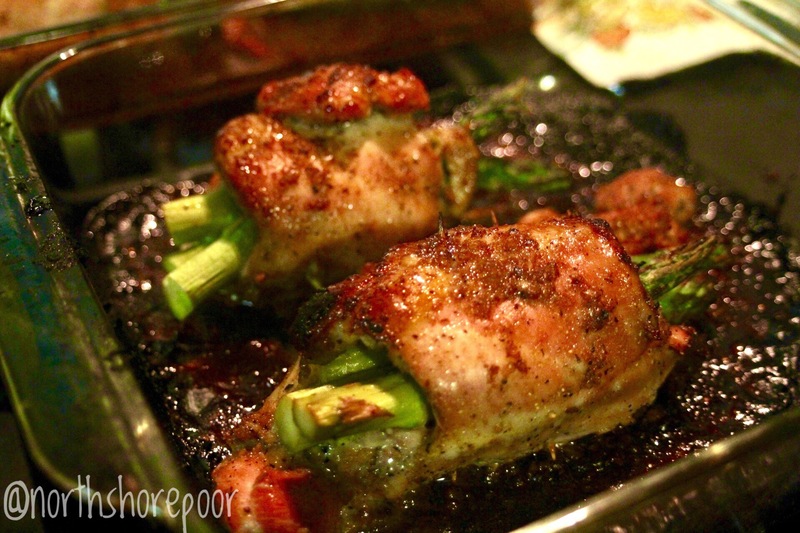 Thighs are tender, juicy, easy to get right, and inexpensive! Especially when going organic, they are a great buy for a small budget. I’ve cooked thighs a few different ways but stuffing them is definitely a first for me. I love making a beautiful dish that wows people but actually just saves me time cooking and cleaning. This meal goes great with pinot grigio or any white wine, so grab a glass and start cooking! Hope you enjoy it! Let me know if you try it and what you think! These look amazing! I am making this tomorrow! I second this comment, It looks absolutely delicious! Thanks!!! Thighs are my favorite next to a good wing but I prefer those out usually. Hope you try and enjoy! !